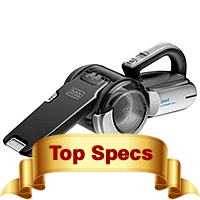 We have done our research and compiled our very own list of what we consider to be the top 10 best handheld vacuum cleaners for 2018. You can compare them side-by-side in the comparison table chart below. Please read the notes below the chart for more specific information on certain points. Our Final Verdict: These are our own ratings based on carpet, upholstery & hard floor performance, battery performance, pet hair removal and value for money. 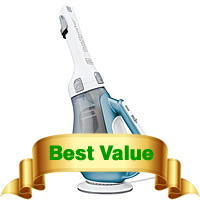 How Do You Buy The Best Handheld Vacuum? Many handheld vacuums have a short lifespan and that could be due to many different reasons, the most common being poor quality components. If you want a hand vac that will last you longer than a couple years, you should pay close attention to the following points when making your purchase. This is probably the first thing you’ll think of when you buy a handheld vacuum. There are really only two types of designs and they are the long nozzle type and roller head. Long nozzle hand vacs are better for maneuvering around and getting into tight spaces and ceilings. Many of them have integrated attachments at the end of the nozzle which extends its reach. 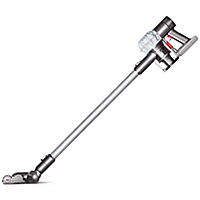 Roller heads consist of a motorized brush head that is better for cleaning carpets and stairs. Some models may have an extension hose on board which allows you to reach into tight areas. 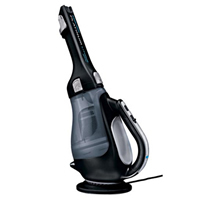 As a general fact, corded handheld vacuums will last longer than a cordless model and that’s down to one reason only – The battery. A corded model will always be powered from the mains outlet so it won’t have a battery to ‘go wrong’, while a cordless model’s main power source is its internal battery. 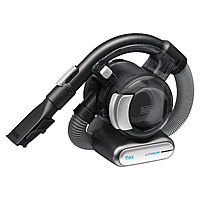 This simply means that you need a vacuum with a great battery, one that can recharge quickly and hold a charge well for both short and long term. It’s recommended that you go for a lithium ion battery as they meet the aforementioned criteria. It’s also preferable (but not necessary) to get a model that has a removable battery so if the battery fails, it can be replaced. 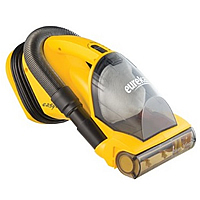 However, some batteries can be expensive and you’ll find that it may be better just to buy a new hand vac. 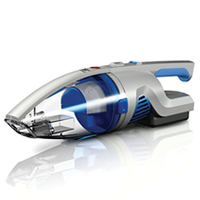 Yes, we all want a handheld vacuum that has super strong suction power to clean up mess as quickly as possible. 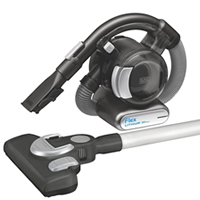 However, there are very few hand vacs that has suction power that comes close to what a full sized vacuum can produce. If you want superior suction in a handheld vac, do not buy cheap as they’re usually at the weaker end. It also helps to get one with a good filtration system to efficiently filtering dust so that your system doesn’t get clogged and that the dust doesn’t escape. 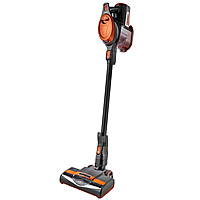 Contrary to what some people think, it’s not true that a corded handheld vacuum will have more suction power than a cordless, but having a corded model does often mean that its suction power is more consistent whereas a cordless model may fade when the battery is near the end of its charge. Suction power is measured in air watts, and the higher the number, the more powerful it is. Unfortunately, many manufacturers do not state the figure. Now this may not be a very important factor for you, but at the very least, you should aim for a hand vac that includes a crevice tool and brush. Anything more than that is really a bonus as most won’t give you much more. Bear in mind that many attachments will be built into the unit already for better convenience. Does size and weight matter to you? It will if you are whoever else in your family that uses it has hand problems or you have limited storage space. Certain models are also easier to handle as the weight is distributed more evenly throughout instead of towards one location. It goes without saying that a longer warranty gives you more peace of mind. 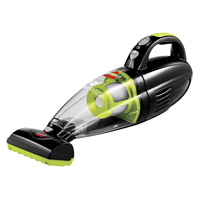 You should aim for a handheld vacuum that gives at least 2 years warranty. It’s a good idea to read into what’s offered in the warranty, but most manufacturers generally only offer warranty on replacement of certain parts.